UPDATE | Qatar Airways' Beyond Business rewards program for small- and medium-sized companies is now available in Australia, allowing businesses to earn points when their employees fly and later use those points to reduce business travel costs. Registration is open to ABN and ACN holders and the program is free to join, with 'Qreward' points earned on the purchase of eligible Qatar Airways airfares. This doesn't affect a traveller's ability to earn personal frequent flyer points on their work trips, with Qrewards for the business awarded in addition to the frequent flyer points and status credits normally earned by a traveller, making it a win-win. Talking point: Should employees be allowed to keep points earned on staff travel? Companies who reach yearly spending targets will earn Qreward points at an increased rate as covered below, encouraging future bookings to be made with Qatar Airways as opposed to other airlines that also offer business loyalty programs such as Qantas, Singapore Airlines and Cathay Pacific. PREVIOUS, February 4 2019 | Australian small- and medium-sized businesses can soon take advantage of the new Beyond Business rewards program from Qatar Airways, providing a range of benefits for both the company and its travelling employees and expected to launch in Australia later this year. 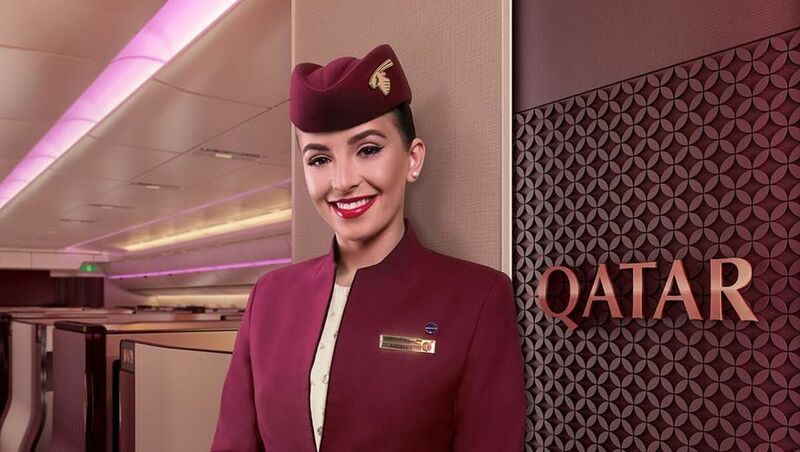 On the business side, entities will earn ‘Qrewards’ for every dollar spent on Qatar Airways airfares, in addition to the usual Qmiles and Qpoints earned by individual travellers – or Qantas Frequent Flyer points and status credits for those so inclined. Depending on how much the company spends each year, privileges like airport lounge visits and complimentary frequent flyer status can also be provided to your travelling employees, including Privilege Club Gold cards, on-par with Qantas Gold, providing year-round airport lounge access. Here's how the Beyond Business program works. Businesses will start off on the base-level ‘Elevate’ tier, where they can earn one Qreward point for every US$1 (A$1.38) spent on eligible airfares. If your company spends US$25,000 (A$34,564) in a single year, it’ll be promoted to the ‘Accelerate’ tier which doubles your earning rate to two Qrewards for every US$1 spent, and also includes two single-use passes to any Qatar Airways-operated lounge, plus two Silver-tier Privilege Club memberships which can be assigned to any employee or business owner. Qrewards can be applied towards ‘dynamic redemptions’ for any Qatar Airways flight or for cabin upgrades, and expire on December 31 in the calendar year after that in which they were earned. For example, any Qrewards earned throughout 2019 can be spent up until December 31 2020, while Qrewards earned throughout 2020 expire on December 31 2021, and so on. Should your company manage a US$100,000 yearly spend (A$138,270), the business will reach the ‘Ascent’ tier which triples your Qrewards points per US$1 compared to Elevate members, gives five single-use passes to Qatar Airways lounges, and includes three Gold-tier Privilege Club memberships: unlocking airport lounge access when flying with any Oneworld airline, not only Qatar Airways. Privilege Club Gold also aligns with Qantas Gold, both considered Oneworld Sapphire frequent flyer cards, which also grant perks like priority check-in and boarding across the Oneworld alliance, and in some cases, additional checked baggage and seating privileges. Just note that Qrewards and eligible spend are not credited on already-discounted private corporate airfares that have been negotiated with Qatar Airways, as this program mainly targets businesses with smaller spends who may not have negotiated a corporate travel contract. Beyond Business is currently open for registration to businesses located in the Americas and Europe, with memberships in Australia and the rest of the world opening up later this year. When Beyond Business does launch Down Under, it'll expand the reward options already available to Australian enterprises which encourage them to book travel on one airline over another. 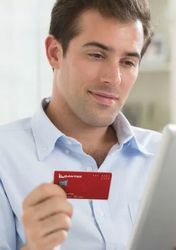 These include Qantas Business Rewards, Singapore Airlines HighFlyer and Cathay Pacific Business Plus, all of which offer companies perks and extra reward points on top of what employees would usually earn themselves for flying – and Virgin Australia Accelerate, which centres on company rebates and discounts rather than allowing businesses to earn points. Three gold cards per $100k spend seems a bit mean. One would have thought ten or more. Comment on "Qatar Airways brings Beyond Business loyalty program to Australia"